It is easy to spot the marking of Doberman Pinscher. You can find it underneath the tail, above the eyes, muzzle, legs, paws and chest. However, it is hard to spot the marking on the albino one. Doberman Pinscher is often used as guard dogs. They have impressive alert, loyalty, and intelligence. 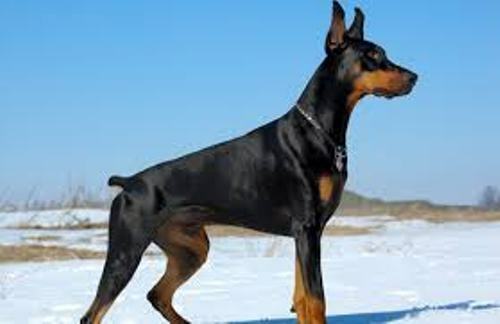 Doberman Pinscher is sometimes stubborn and strong. It is not easy to define the personalities of the dog for they can be varied. If you want the dog to have great companionship, loving and caring, you need to train them well. 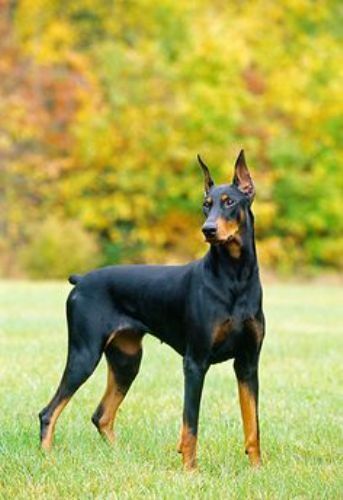 The description of Doberman Pinscher based on the breed standards states that it has amazing endurance. The body is athletic with short coat and square build. Check facts about cats and dogs here. 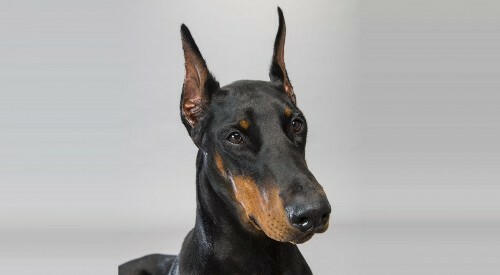 The temperament of Doberman Pinscher is obedient, determined, watchful and proud. That is why it is employed as a guard dog in the past. The female has thinner body than the male. That is why the male has the noble, muscular and masculine appearance. Get facts about American bulldogs here. When it stands, it has the height of 27 to 28 inches or 68 to 72 cm. Actually the ideal size reaches 27 inches or 69 cm based on the Kennel Club in United Kingdom. The ideal weight for the male is around 88 to 99 lb or 40 to 45 kg. On the other hand, the female should be thinner with the ideal weight of 71 to 77 lb or 32 to 35 kg. 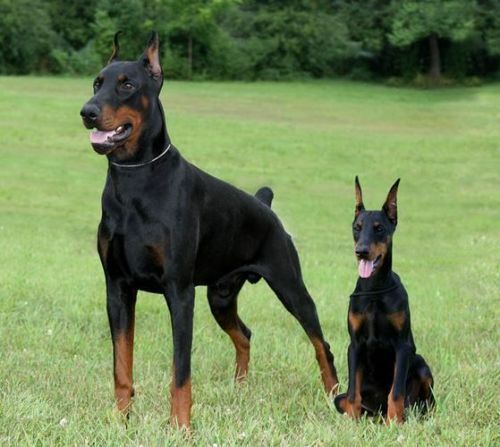 There are two colors of Doberman Pinscher. Both are dilution and black. The least common color is the fawn coloration. The tail of this dog is relatively long. However, the short tail is often spotted when docking is applied after birth. 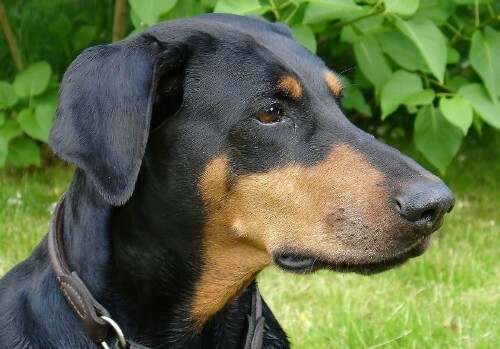 Do you have questions on facts about Doberman Pinscher?